Despite criticism of Saudi Arabia's participation in the conflict in Yemen, the German government has approved arms exports worth 254 million euros ($295 million) to the kingdom since it took up office in March. 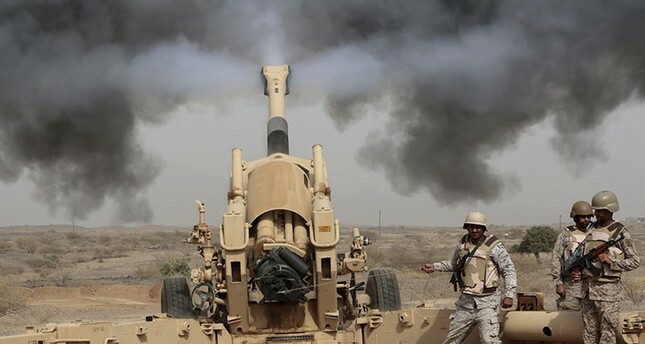 The other eight countries involved in the Yemen conflict as part of the Saudi-led alliance received arms worth 21.8 million euros from Germany in the last half-year, according to Economy Ministry figures supplied in response to a parliamentary question from the opposition Greens. Between March 14 and Sept. 23, the government approved 87 export permits for the members of the alliance, according to the figures seen by the German Press Agency (dpa) on Monday. The exports were approved despite an agreement not to sell arms to countries "directly" involved in the Yemen war included in the deal that forged the coalition between Chancellor Angela Merkel's conservative bloc and the Social Democrats in March after months of political wrangling. It was not made clear which countries were meant by the phrase. The Saudi-led alliance has been fighting Yemen's Houthi rebels, who receive support from regional rival Iran, since 2015. Peace talks planned for the beginning of September in Geneva did not take place when the Houthi delegation did not turn up for them. The United Nations describes the Yemen conflict as the worst in the world: it has led to a humanitarian catastrophe, with three-quarters of the population, or 22 million people, dependent on aid and 7 million not having enough to eat. In 2017, Germany sold Turkey 34.2 million euros ($39.6 million) worth of arms. In 2016, Germany approved 83.9 million euros ($97.2 million) in arms sales to Turkey, making Turkey one of the top 20 buyers of German arms.